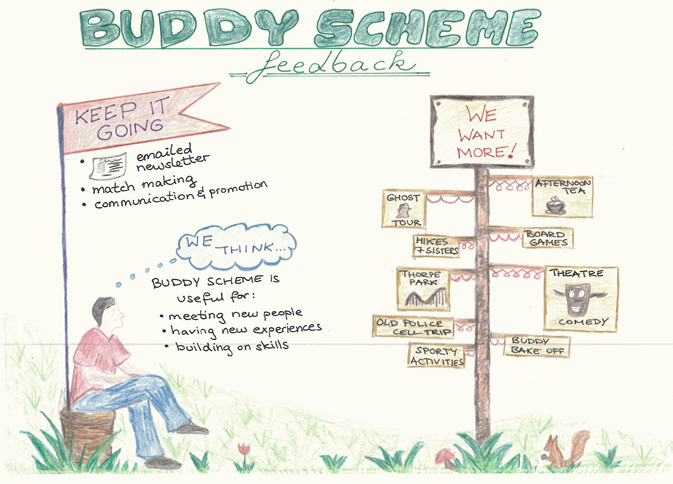 After having you all over for a lovely Buddy Scheme Afternoon Tea and Forum, we made notes of what you told us, read through all your wonderful and helpful comments. From this we gathered that you all want more! 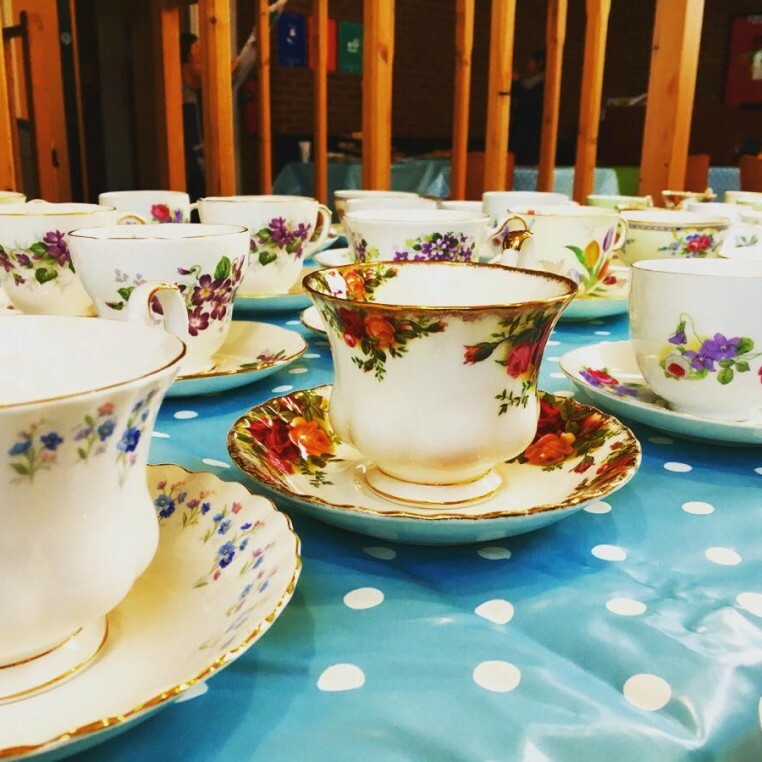 Ranging from calming hikes to seven sisters to thrill rides at Thorpe park, board game afternoon teas and more Active US combinations such as the Zumba class we did before the Easter break. 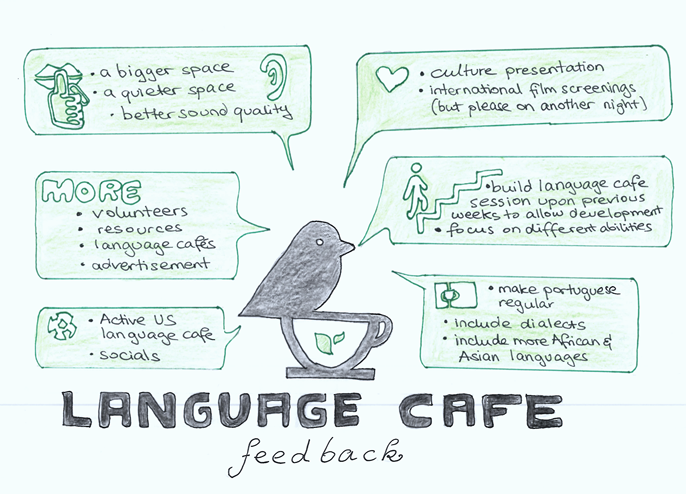 Have a look below as we collated your feedback into a little infographic diagram drawing.